With wedding season just around the corner, we wanted to chat to William White all about his stunning handmade jewellery - especially to find out more about the design process of his engagement rings! 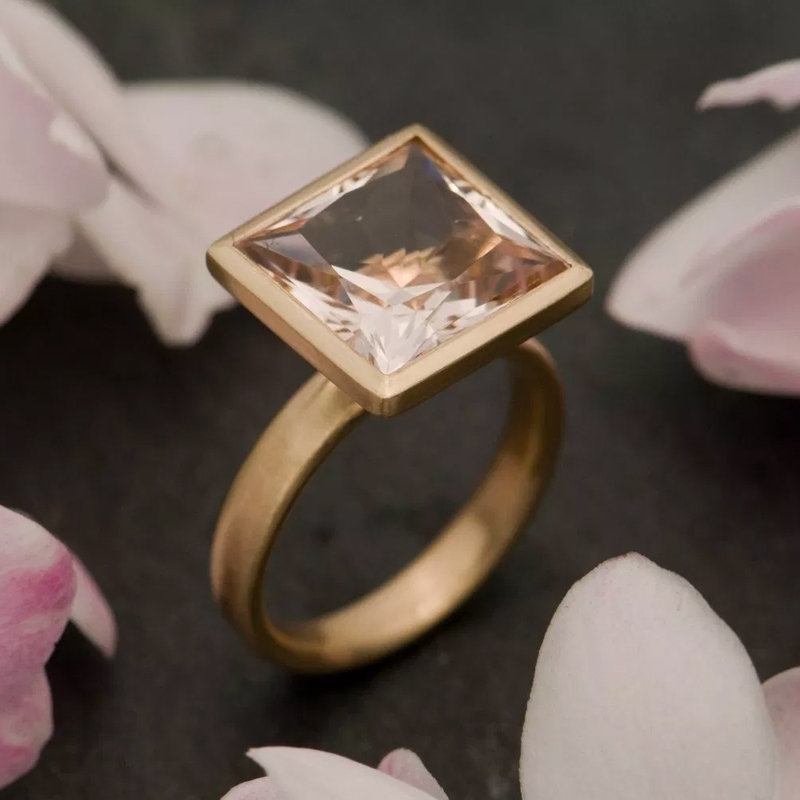 Coming from an engineering background, Will's talent and preciseness have enabled him to create simple designs that really have the wow factor, centring all the focus on the gemstone being used. Dominated by Etsy sales from America, Will shares how his working day is influenced by this and gives an insight into how to secure those sales on Etsy, where he has over 2,900 sales. I have done all sorts of jobs over the years, product and interior design, engineering etc. all designing and working with my hands. However in my last job as a vacuume cleaner designer I ended up managing more than making, so I started an evening class in jewellery making. I missed the hands on making and this filled the gap. Coming from an engineering and design background, how has this helped with your designs? My designs are simple and a little scientific looking, this must be from my engineering background. I get inspired by big science projects and space exploration. A couple of years ago I designed a ring for a lady who’s husband worked on the mars rover project, what a great project! I like to design rings around the stone or stones. If the stone is hard or soft, the shape, cut and colour. 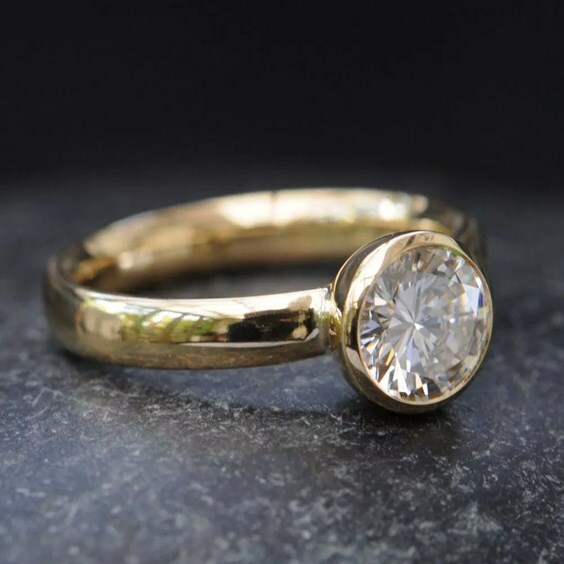 What gold, setting, band width and ring design can all be affected by the stone. There are lots of factors that can input to the ring design but the stone is a good start. "Being American centric affects my whole business, what time of day I post on Etsy, Instagram and Facebook, my prices are all worked out in dollars, the level of customer service has to be high, even how I spell jewellery..."
Most of your orders come from the US, why do you think this is and how does this affect your working day? A large percentage of my orders come through Etsy. As Etsy is a US company, most of my work comes from there. It seems to me Americans are more used to buying expensive items online, they have more confidence shopping that way. Being American centric affects my whole business, what time of day I post on Etsy, Instagram and Facebook, my prices are all worked out in dollars, the level of customer service has to be high, even how I spell jewellery. What’s your favourite thing about being a jeweller in Cornwall? Because I sell online and don’t need much space, I could live anywhere in the country. That’s why I ended up in Cornwall, it’s a bit like living and working on holiday. I love living by the sea. What do you like about working with a customer on an engagement ring? Tell us more about the process. Often the customer has a rough idea of what they want, some even send drawings. 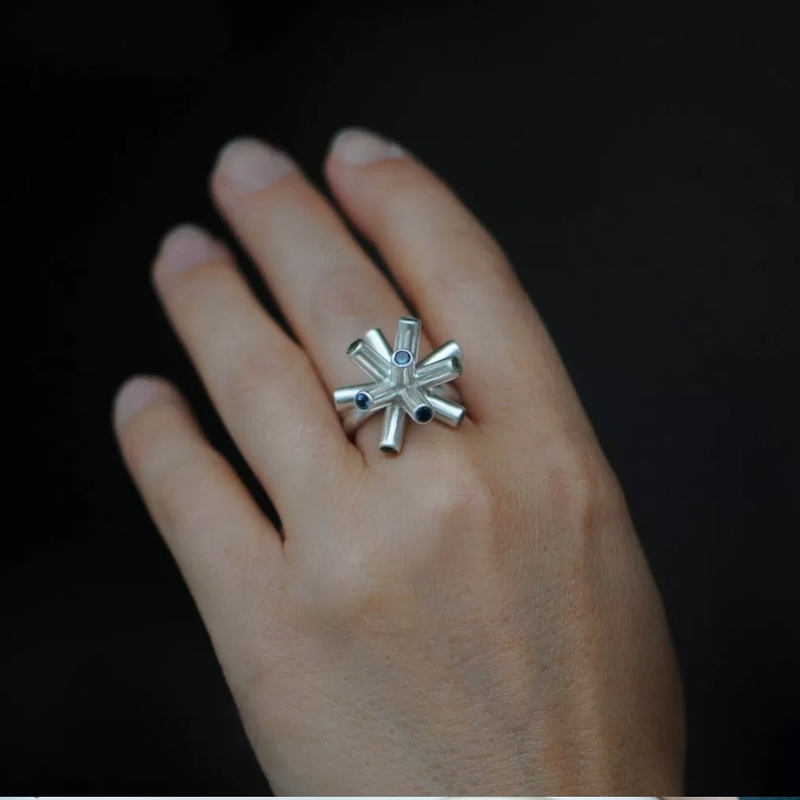 It’s my job to interpret their ideas into a practical, elegant ring that I’m happy to make. How the client lives their life can be a factor. A pianist will need a different ring design than a gardener. 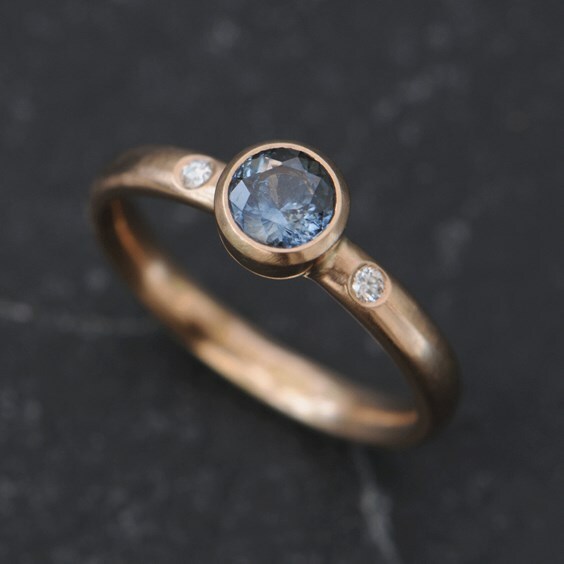 "If you spend as much on a sapphire as you would on a diamond, you can have something amazing..."
First thing I do is an Instagram post with a cup of tea, see if any orders or customer queries have come in overnight. Chat through the orders with my administrator so she can answer all related conversations. Order materials for orders, make orders, post orders. Have dinner, do another Instagram post in front of the TV, go to bed. Then repeat. What do you think people expect from an engagement ring in 2019? I think everyone wants something different, but if they have come to me they are probably after something very simple. I tend to make single stone rings with a minimal setting, let the stone do the talking. 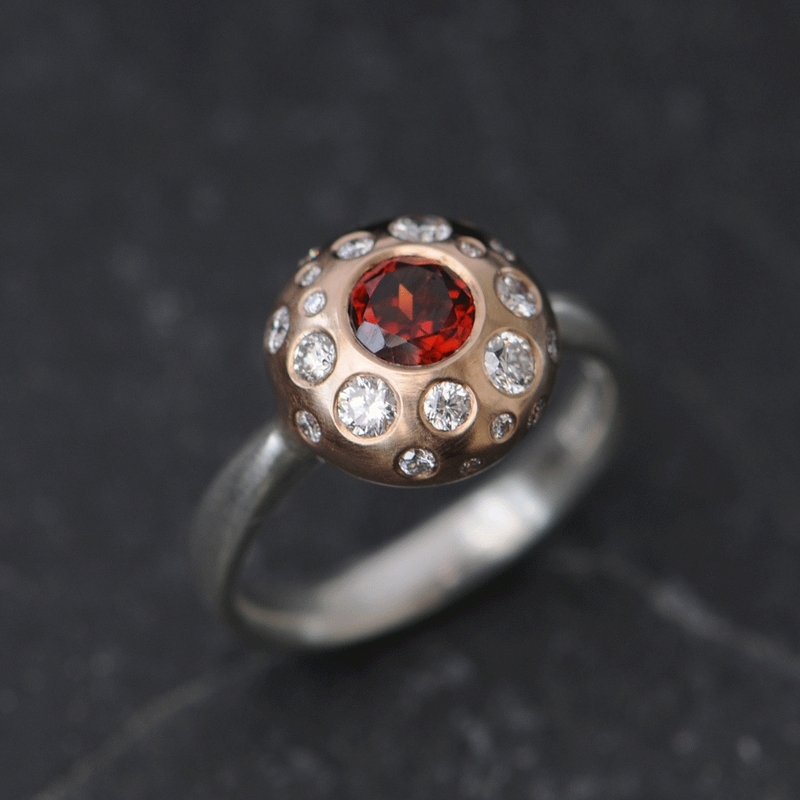 You have an incredible following, what advice would you give to other jewellers wanting to get their pieces out there? 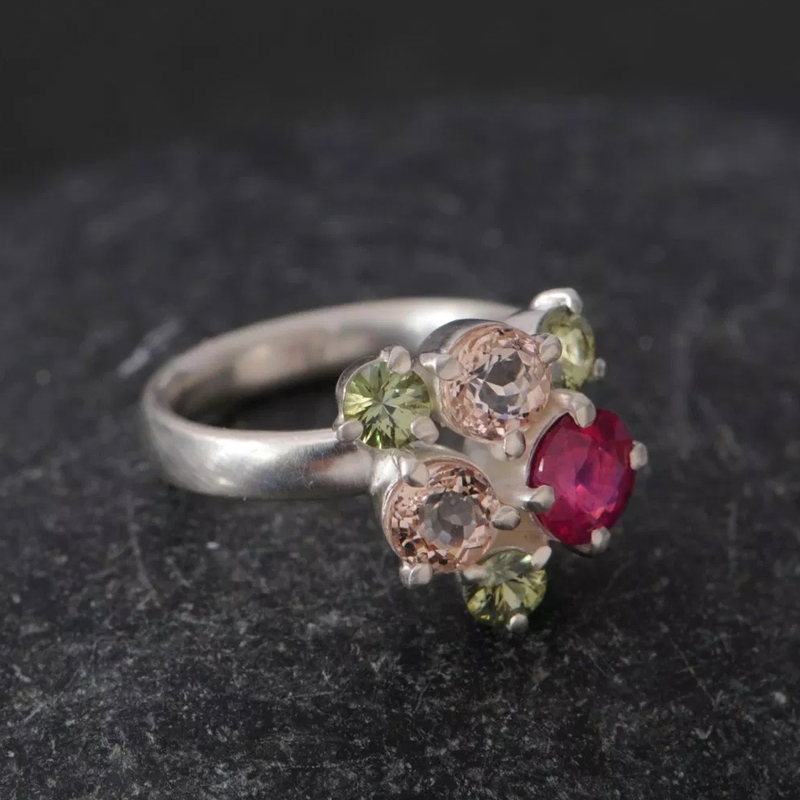 Have a look at the quality of every aspect of your jewellery business, not just the jewellery. Your photos, customer service, your online presence, if you’re on Etsy get familiar with tags, titles and descriptions etc. It will help your SEO. 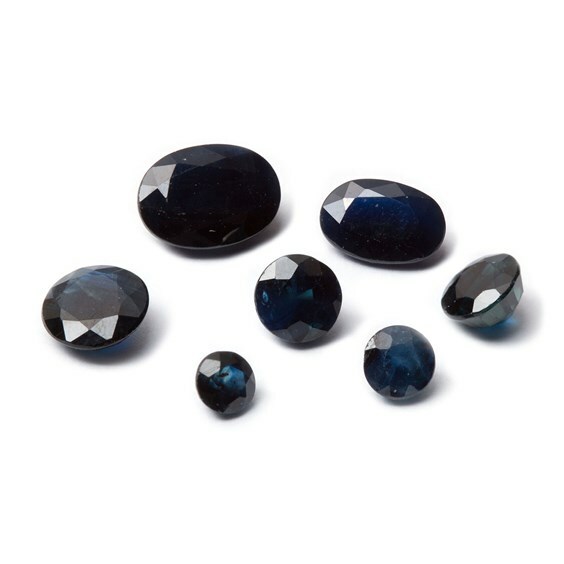 I’m loving spinel at the moment. I got some lovely grey cushion cut recently, they are hard and really sparkly. A really underrated stone. "Don’t be frightened of setting a diamond, they are the most forgiving stone to set because they are so hard..."
Have you found that diamonds are still the most popular stone to use in an engagement ring? Yes, although I make a lot of Moissanite rings as an ethical alternative. I do think sapphires give you more for your money. If you spend as much on a sapphire as you would on a diamond, you can have something amazing. Your photography is stunning, tell us more about your set up! My partner takes all my photographs these days, though I started out doing it myself. I have a Nikon DSLR camera which is pretty good. We only photograph first thing in the morning before the sun has come over the house. My outhouse has a plastic roof so the light is diffused. It’s all about using natural light. What has been the most challenging design and why? My particle collision ring was very tricky, all the spikes have to be soldered in one go. 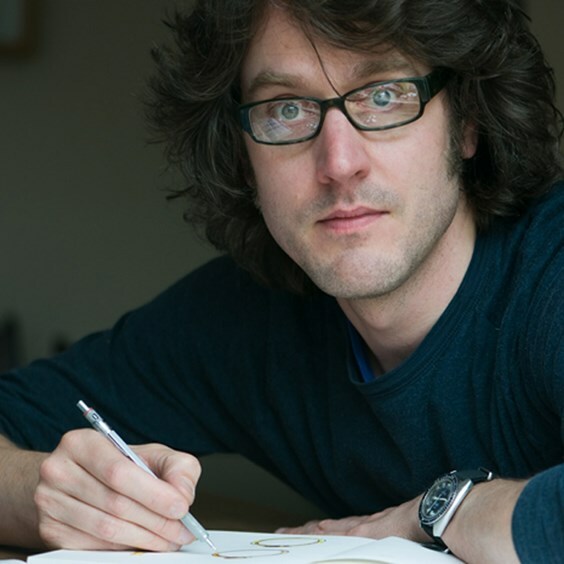 Do you have any advice for jewellers wishing to take on an engagement ring commission? Make exactly what your customer has asked for and do a drawing if you're not sure. Do a practice run with a cheap stone and silver first then you know what you're doing on the final ring. 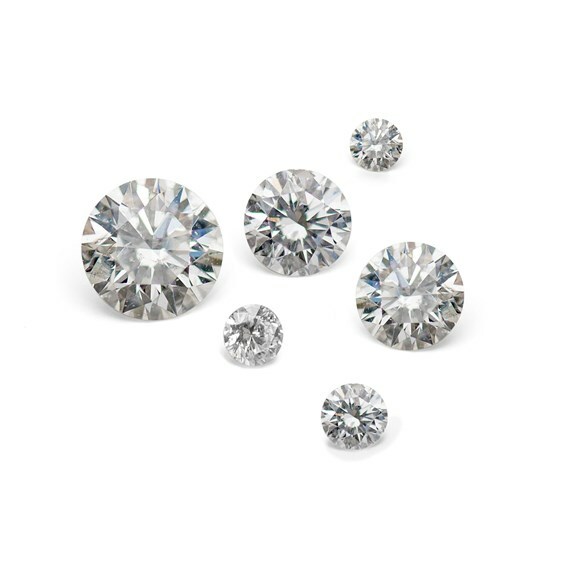 Don’t be frightened of setting a diamond, they are the most forgiving stone to set because they are so hard.